As a child, you toy around with ideas of becoming many different things. A police officer. A writer. A teacher. 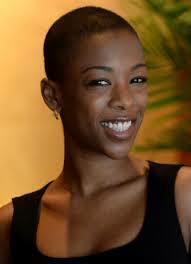 But for Samira Wiley, there was only one option; to be on screen. The 28-year-old “Orange is the New Black” star has been committed to acting for quite some time. And we’ve got news for you. She’s just getting started. Wiley spoke with JET about her unique upbringing, what it’s like to be living out your passion, and the importance of staying true to yourself and your dreams. SJ: You have a very interesting background. What was life like growing up for you? Samira Wiley: It’s interesting because growing up, you don’t even realize that your life is different cuz it’s the only thing you know. I was definitely in church every single day of the week. [Me and my brother] didn’t know at the time, but now I’m very aware of how progressive my mother and father was. My parents, (who are pastors), believe that God loves everyone. Anybody can be a member of their church regardless of race, sexual orientation, age, anything like that. I think it takes a lot of courage to be like that. That’s sort of a radical stance to take in a baptist church. But growing up, we were basically free. We just knew we had to do our homework at church every night (laughs). SJ: You’re relatively new to the acting business, having made this big splash with “Orange is the New Black.” When did you realize that you wanted to act full-time? SJ: You mentioned that you were always part of the ensemble cast. I think that’s how a lot of greats start out. You being happy in that role speaks to the level of passion that you have for the craft. Personally, I like those people. The person who doesn’t care about being the star because he or she is going to play the best “party girl number 2″ they can play. Samira Wiley: I guess so. You mention passion. That’s definitely what it is. When I graduated high school, I didn’t get accepted into any single place that I applied for to be in a conservatory theater arts program. I ended up having to go to a liberal arts college and that was sorta discouraging for me. I mean everybody at my school is going on to study at NYU or North Carolina School of Arts and I didn’t get accepted anywhere. I had to sort of swallow it and know that at that point like, “This probably can’t be my career. I’ll be able to do passion projects, but this wont be lucrative enough for me to survive.” But I didn’t care. I still wanted to study theater. Passion is a thing that I feel most people need to survive because there’s nothing like it. It doesn’t matter how much money you’re making. It doesn’t matter how successful you are. So the fact that it’s actually working out where I can make a living off of doing it is over and beyond anything that I could ever imagine.